Mother's Day always makes me think of my Mom who passed away a few years ago. I owe my skills in the kitchen, along with many other things including my penmanship, to her patience and encouragement. She also started me on the path of loving cook books, and when she gifted me with her favorite one from my childhood, I wept with joy. Seriously ... I am not joking. Fast forward a few years, and I was able to find a copy in the same grey cover as the one Mom used over the years, and made a gift of it to my baby sister. 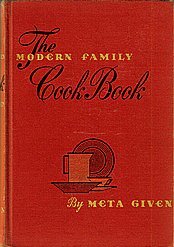 ​Meta Given was the author of the Modern Family Cookbook, and you can occasionally find copies for sale on Amazon. The one pictured here is perhaps a bit newer than mine, but the cover imprint is the same. 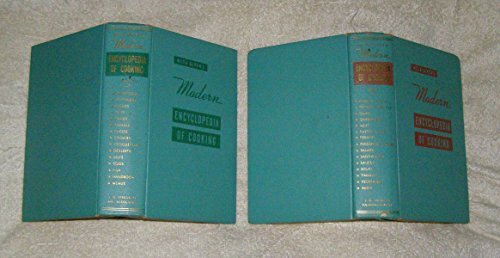 Meta Given was also the author of the popular two volume series Encyclopedia of cooking. It, too, comes up on Amazon occasionally - although finding both volumes in one set is rather rare. Click any image to see price and availability. Lover of cooking books and the stories they tell.